COLUMBIA, S.C. (February 13, 2013) – In a case of “I’ll have what she’s having,” an Edgefield man picked the same lottery ticket as the woman in line ahead of him at the Palm Pantry 2 on Hampton Ave. in Aiken. Only difference, his ticket was a $100,000 winner. 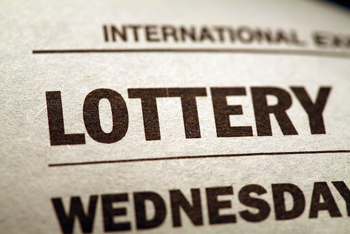 “I didn’t believe it,” he told lottery officials when he collected his winnings on Monday. As for the stranger ahead of him in line at the convenience store, the winner admits she’ll never know the next Double-Up Dollars ticket was the one to have. He’s glad to have followed her lead. “I bought the right ticket at the right time,” he said. As of this release, five top prizes remain in the $5 Double-Up Dollars game. Odds of winning the top prize are 1 in 400,000. For selling the claimed ticket, Palm Pantry 2 in Aiken received a commission of $1,000. To date, lottery play has resulted in more than $2.9 billion transferred to support education.